Buffalo, Albright-Knox Art Gallery, Member's Gallery, 1967-1968 (on loan). Boston, Thomas Segal Gallery, Adolph Gottlieb: Paintings, Works on Paper, Sculpture, April-May 1978. Greensboro, North Carolina, Weatherspoon Art Gallery, University of North Carolina, Art on Paper, 1996. 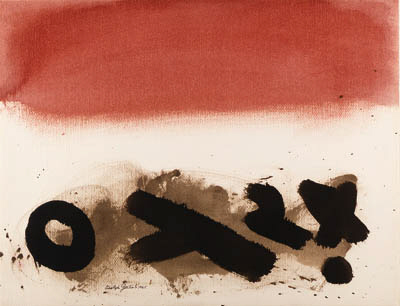 The Adolph and Esther Gottlieb Foundation has confirmed the authenticity of this paintings.